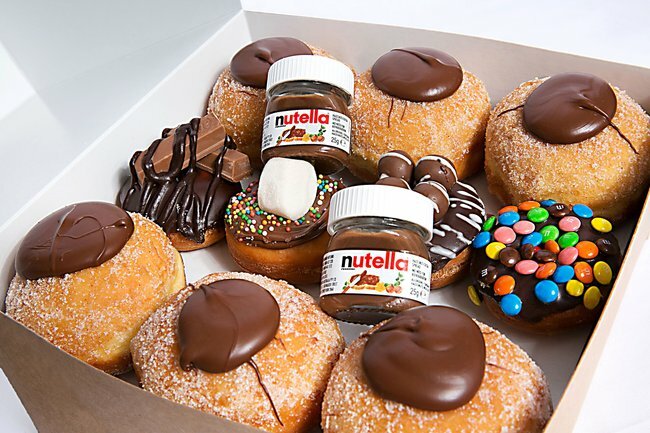 The drool-inducing doughnut gift boxes that are delivered straight to your door. 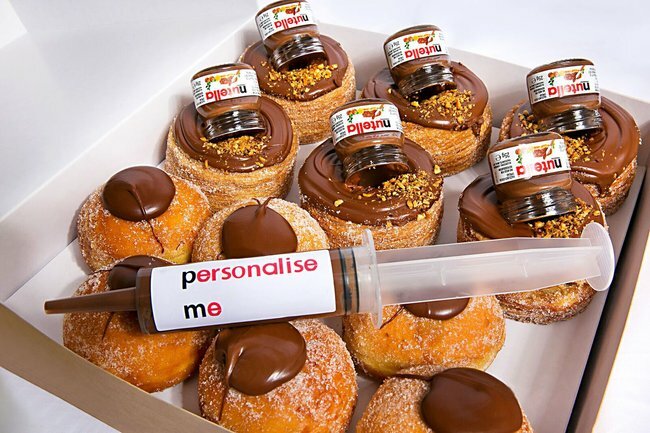 Michelle Auraha created the ultimate way to celebrate an occasion, send a message to someone or even pop the question. 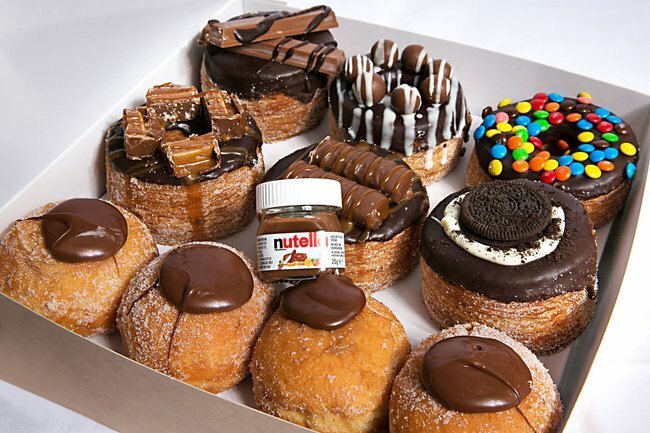 Who needs flowers? 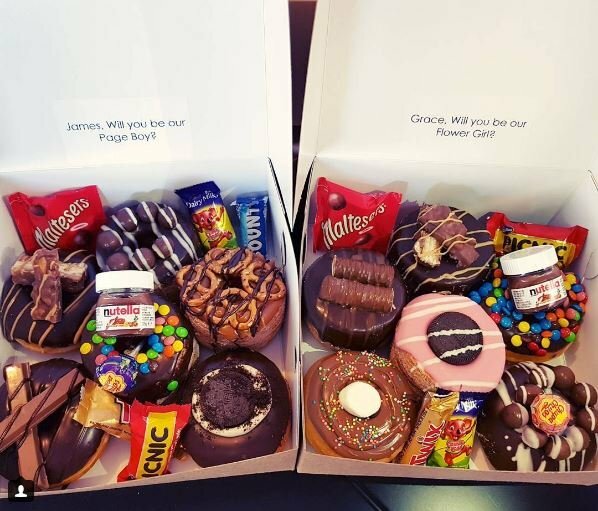 These customised sweet boxes can be delivered all around Sydney. Next stop: our office. 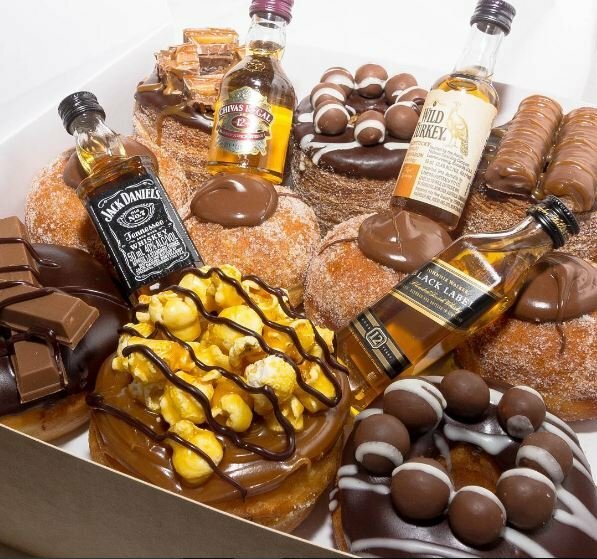 What is My Sweet Box? 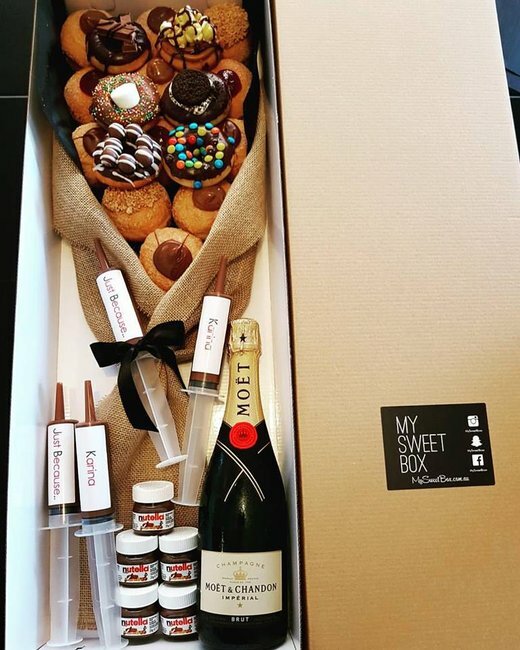 My Sweet Box specialises in delivering a premium range of delectable treats including doughnuts, cronuts and scrolls, packaged in luxurious packaging and finished with unique touches including balloons, mini Nutella jars, Nutella-filled personalised syringes and mini or full-size bottles of liquor. 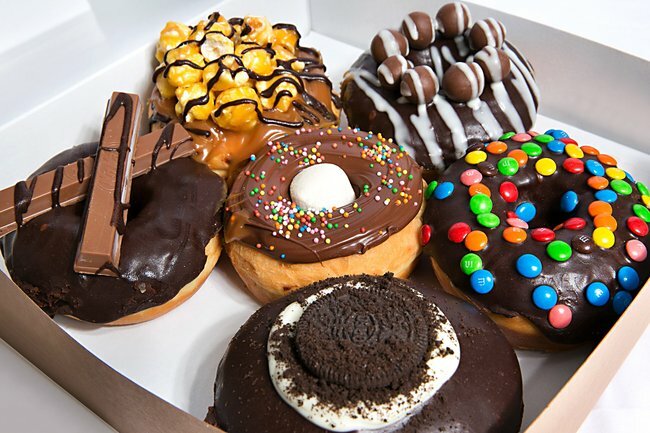 It also offers a gluten-free selection of donuts and muffins ensuring that everyone can indulge in a My Sweet Box surprise. Why do you think so many women are now starting their own businesses? Today, there are so many incredible women succeeding in their own industries. I believe it empowers people to pursue their career dreams. This can be done through starting their own business, doing exactly what they want to be doing. What’s the biggest mistake you’ve made in starting your business and the smartest thing you’ve done? The biggest mistake I’ve made in starting my business would be not realising how time consuming it would be after setting it up. The smartest thing I’ve done is not over-capitalising. Be brave and follow your dreams! Also, please make sure you don’t overcapitalise. What’s the biggest misconception you had about starting your business, and how is it different to what you’d imagined? I thought I would slowly ease into the business. This was a huge misconception because as soon as the website was live, it was go, go, go! My personal life was non-existent for the first three months after opening My Sweet Box. I had to turn down so many family occasions as I was working seven days a week, doing late nights and early mornings. Now, as my team grows, everything is falling back into place and becoming more manageable. I now have more time to spend with my family. I get six hours on a good night. My non-negotiables include my mornings with my kids making them breakfast and dropping them to school. I also must have a clean and organised house before I start work for the day. What are the most useful apps on your phone? The most useful apps on my phone would be Instagram, Facebook and Regram. Instagram and Facebook have been very useful for me to showcase what My Sweet Box has to offer. I think Roxy Jacenko is a great example of a #LadyStartUp. She is a successful businesswoman who has established and grown her own business. I love her work ethic, how she manages her home and work life, her energy and her passion in everything she does.